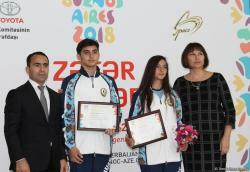 It is a great honor for me to participate in the III Summer Youth Olympic Games in Buenos Aires, the Azerbaijani gymnast Samad Mammadli said after the ceremony of honoring of the Azerbaijani athletes - the winners and participants of the III Summer Youth Olympic Games. The event was held at the National Olympic Committee (NOC) of Azerbaijan. 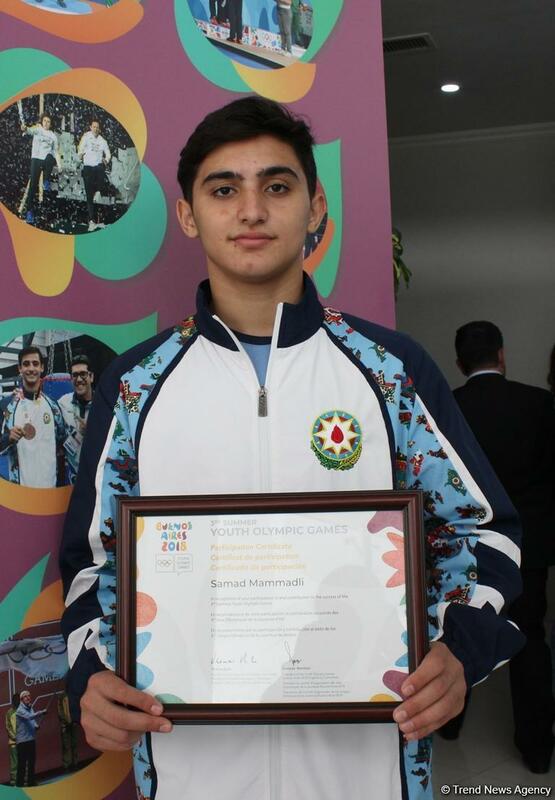 Samad Mammadli has taken part in the Youth Olympic Games in artistic gymnastics competitions. “Unfortunately, I didn’t perform at the Youth Olympic Games in Buenos Aires as good as I wished. I made some mistakes, but I tried very hard. It was probably the excitement that affected my performance in many respects. But, despite this, the participation in the Youth Olympic Games is a chance and great experience for me," the gymnast said. Samad Mammadli also thanked the Azerbaijan Gymnastics Federation for the conditions created for the athletes. 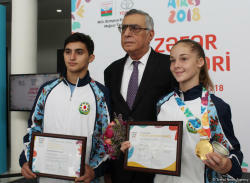 "The Azerbaijan Gymnastics Federation provides great support to us, all the conditions have been created for us, we have a wonderful gymnastic hall," Mammadli said.